A thanks goes to Matt over at Britemax-Direct for sending out this full sized bottle of Pure Max Shampoo, along with other samples for review. I previously tested/reviewed other Britemax products and was left impressed so I am excited to try out some of the brands new offerings to the market. Britemax are not to be mistaken for an American company, although all their product development takes place in the states the company is still British owned. Something I wasn't aware of until I began reviewing their products. Following on from the last batch of Britemax reviews which included Black Max, Grime Out and Vantage, this again will be a group of reviews in order as per when they would be used in the detailing process. First up will be the Pure Max Shampoo followed by Virtue, Extreme Elements 2.0 and Remax. 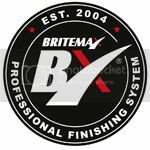 For any further information on any of the products tested & the brand itself, please visit http://www.britemax-direct.co.uk/ who are the official distributors of Britemax goods within the UK. Britemax Pure Max is a highly concentrated, PH balanced and extremely gentle car shampoo which will sit alongside the excellent Britemax Clean Max Shampoo (which contains gloss enhancers). When judging an automotive shampoo I usually look for a few key properties which will determine if it is any good or not. • First and foremost it has to have good cleaning ability. You don’t want to have to apply substantial pressure to the mitt/pad when cleaning the car due to poor cleaning power. • How slick and lubricating the mitt/pad feels when passing over the paintwork. A slick feeling shampoo should aid in reducing the risk of light scratches/swirling. • Concentration levels must be on par with the rest of the market leaders. A shampoo isn’t going to be cost effective if you only get a couple of washes out of a 500ml bottle. • Although not hugely important for performance, a pleasantly scented shampoo always adds to the enjoyment of using it. • This is my own preference but I like a high foaming shampoo. It may not have any real benefits but I much prefer ample amounts of suds on my paintwork when cleaning the car. • Another personal choice of mines is wax free. I prefer pure shampoos that will not affect my current LSP on the paintwork. If Pure Max can meet most, if not all criteria listed above it should be an excellent shampoo and a joy in use. So Pure Max arrived in a 16oz (473ml) clear bottle that felt fairly robust in the hand, it was certainly a good quality grade of plastic bottle. It also included a nice flip up/down nozzle cap which would be useful for accurate dispensing of product. Labelling was as you would expect from Britemax, very smart and professional looking with printing to a high standing with all relevant information/instructions on the bottle. Pure Max shampoo has been specially designed for those customers who crave the original hydrophobic effects of thier chosen wax, sealant or ceramic coating. Pure max shampoo contains no gloss enhancing oils, polymers or waxes and leaves absolutely no traces of residue behind which can impact the true performance of your vehicles protection. Pure Max Shampoo features a unique pH balanced, biodegradable, SLS and paraben free formulation that ensures the highest safetly for all users. SLS's can cause eye and skin irritations and parabens whilst commonly used in the beauty industry have been known to have negative health effects. Pure Max Shampoo is super slick, high foaming automotive shampoo with great cleaning power that can also be used in a high pressure snow foam lance. Pure Max gently cleans whilst protecting your existing wax or sealant layers. The shampoo within had a very vibrant blue colour to it with viscosity similar to hair shampoo. It wasn’t quite a gel but by no means a thin liquid either which again should aid in accurate measurements when dispensing. Scent wise I really liked it, this shampoo reminded me of Raspberry which turned out to be spot on. Matt from Britemax later described it as ‘Blue Slush Puppy’ which is in fact raspberry flavoured. The bottle of Pure Max also came with an accompanying sheet of paper which included further information. First impressions on the product are very positive. Pure max was tested on my own car on 3 separate occasions at varying concentration. This was done after the usual pre-wash, rinse and wheel clean on each occasion. First test up was at the maximum dilution of 1:2000. The key point here is the comment ‘up to 1:2000’ which is dependant mainly on the quality of water available in your area. Matt explained the 1:2000 ratio is ideally suited for when using distilled water, the harder your water is the lower that dilution ratio falls. Living up in Scotland, our water is generally of good quality and I reckon in my area the water is reasonably soft with little contaminants within it. I use 20L buckets which I fill ¾ full, roughly resulting in 15L of water in each bucket. With the 1:200 dilution, 1ml is used for every 2 litres of water giving me a maximum dilution of 7.5ml which I rounded up to 8ml. This was measured out in a small measuring beaker and added to my shampoo bucket during the filling process. It began to immediately suds up even prior to a blast with the pressure washer. The doubled sided merino wool wash mitt (which was also being tested at the time) was used as my wash apparatus. This was dunked into the wash bucket before cleaning the car top to bottom. The mitt was then rinsed out in the 2nd bucket. At this dilution the suds within the bucket were impressive but sadly they did not transfer to the car very well. Despite this the mitt still felt reasonably well lubricated as it passed over the paintwork and when rinsed off the car was left clean, although the car wasn’t overly dirty on this occasion and well protected. The LSP currently on the roof of the car certainly wasn’t altered in any way by Pure Max and was still beading strongly proving it leaves nothing behind once rinsed. Next up I decided to double this concentration to 15ml in 15L of water which gave us a 1:1000 dilution. This should give a truer representation of what Pure Max is capable of using ordinary water in the bucket. I think at this dilution Pure Max begins to perform in line with other shampoos available. The 15ml dilution is certainly less than that I would use to achieve the same performance from some. It is well lubricated at this dilution but I still found it was lacking a bit when it came to suds transfer. There was plenty in the bucket which lasted the full wash comfortably but it still didn’t transfer fully to the panel. It was at least a marked improvement from the previous test. This is all personal opinion of course as I am aware suds aren’t really important when it comes to cleaning the car but my own personal preference is that I prefer more suds. At this dilution the LSP was still completely untouched and beading perfectly once again backing up the pure shampoo name. Finally I decided to try Pure Max at the dilution I use every other shampoo at. 25ml was measured out and dropped in the bucket while being filled to around the 15L mark with water. The suds within the bucket were much the same as the previous dilution ratios but this time the suds to panel transfer were much improved. There were plenty of them and the lubricity was now top notch with the lambswool mitt gliding over the car with zero drag. Cleaning power was spot on and the LSP water repellency was again untouched. This is a difficult one to answer. I enjoyed the overall experience using the product. It smells good, it has good lubricity, it foams up well and I reckon I could undercut my other shampoo choices by 5ml per wash using this. The only issue for me is the price with Pure Max costing anywhere from £2-5 more per bottle making it an expensive option in comparison. I am not sure I would be willing to pay that premium personally. It’s an extremely safe shampoo for not only the car/LSP but also and most importantly the user with no negatives effect to cleaning power. This does come with a premium cost though and I think ultimately it comes down to the individual user. If you consider these chemical free features important enough to pay the additional cost I do not expect you will be disappointed with your purchase.